Know your candidates before you go to the polls beginning Friday. Early voting starts this Friday, and here’s what the ballot looks like for those living in District 61. The district includes the northwest part of Williamson County and stretches through Franklin and Cool Springs and into Brentwood. Voters have two locations to early vote next week – the Election Commission Office located at 1320 West Main Street in Franklin, and the Brentwood Library located at 8109 Concord Road in Brentwood. Hours will be from 8 a.m. to 6 p.m. on weekdays and Saturdays from 8 a.m. to noon. The polls will be closed on Sundays. 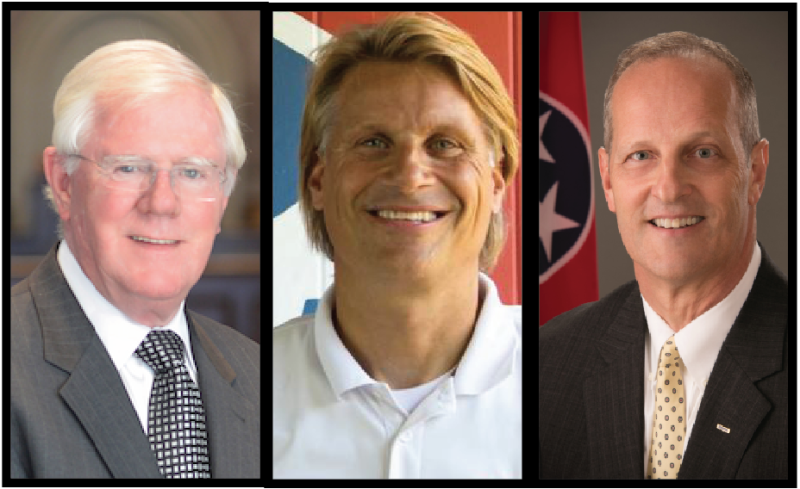 This race has three Republican candidates running for the primary spot on the ballot. Whoever wins will not have a contested race in November. Charles Sargent has held the District 61 seat for more than 20 years, serving on a myriad of committees. Hailing from New York City, Sargent started his career U.S. Navy during 1965 in the Vietnam War. He moved to Nashville in 1970 and later Franklin in 1977. He served on the Williamson County Planning Commission for seven years and the Williamson County Commission for six years before becoming the District 61 House Representative in 1997. In his personal career, Sargent has been a State Farm Insurance Agent for the past 40 years and is a father, husband, grandfather and passionate boatsman. This year, he helped lead the charge to eliminate the Hall Tax, which is the only tax on personal income in the state, a six-percent application to all taxable interest and dividend income from investments. He also worked with Williamson County Schools to earn back $3 million, which the school system would have otherwise lost because of the Basic Education Program funding changes. This past legislative session, he also worked to assure more funding for the Tennessee Department of Transportation. Money had been shifted to the general fund during the recession. Sargent raised more than $100,000 in donations the second quarter. Half of his money came from PACs with the other half coming from residents around the state and Williamson County. He ended the second quarter $227,000. The incumbent’s main issues he’s focusing on are keeping the state’s Triple A bond rating while passing a balanced budget, finding financial solutions to the county’s traffic issues and fighting for Williamson County Schools funding in the event of continued shortfall from the state. This isn’t Steve Gawrys first political run in District 61. In fact, last election in 2014 mimics much the same with Sargent searching for another two years in the legislature with Gawrys aiming to unseat him. Gawrys moved to Brentwood in 1990 and has spent much of his time working in a myriad of business ventures. He became interested in politics with the Affordable Healthcare Act’s reform in 2011. He made federal programs like the ACA, immigration policies and unnecessary taxes the focal points of his campaign. He said most of his belief systems revolve around that of Constitutionalist Republican, values he would take with him to the legislature if he were elected. The past quarter, the challenger raised nearly $16,000. The second quarter’s fundraising split in half between PACs and individuals. He is left with around $15,700 on hand. Describing himself as more of the underdog candidate, Brentwood’s Terrence Smith has run a quieter campaign than his opposition this election. Smith, who has had a range of careers from law enforcement to the medical field, moved to the Nashville area from Ohio. Smith has been married for 28 years and lives in Brentwood with his wife and their two cats. He has an adult son who lives in Ohio. As a political newcomer to the scene in Williamson County, Smith decided early on he wanted to focus on the issues of traditional Tennessee values. He’s said in several interviews he finds the state’s values under attack from special interest groups that he believes only represent a vocal minority. He’s those shouldn’t dictate legislation moving forward. He defined those revolve around immigration policies and standing firm against what he considers an overreaching federal government. This last quarter, Smith ranked last in raising money, only earning $1,500. According to his disclosure, he had only one soul contributor, which was himself.